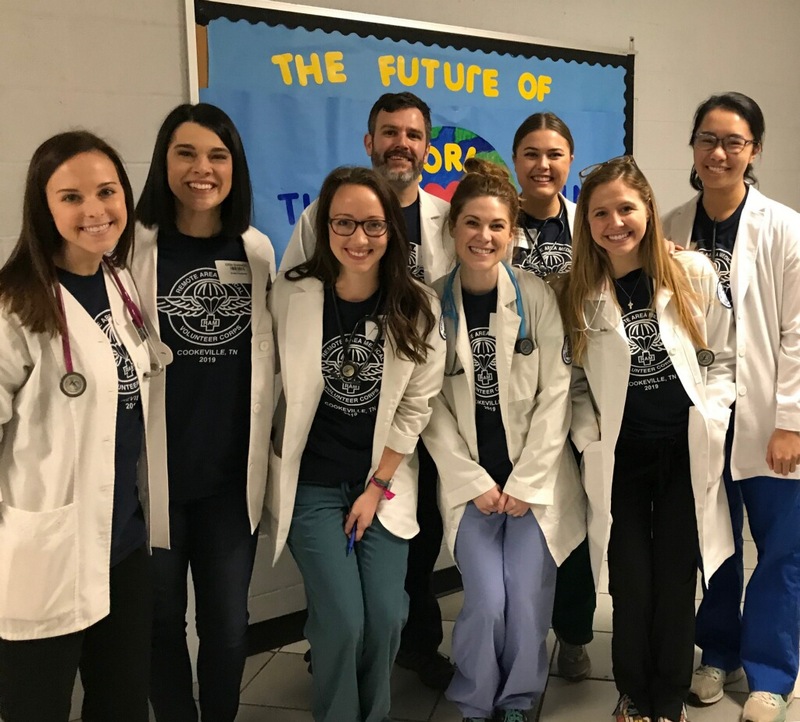 On the weekend of March 16-17, six Belmont graduate nursing students and two faculty members participated in a free mobile clinic held in Cookeville, Tennessee. The clinic was hosted by Remote Area Medical (RAM), a major nonprofit provider of free mobile clinics. Students and faculty provided triage, patient intake, primary care and even dental assisting. Overall, the clinic served 966 patients and provided $554,552 in services as calculated by RAM over the two days in Cookeville.